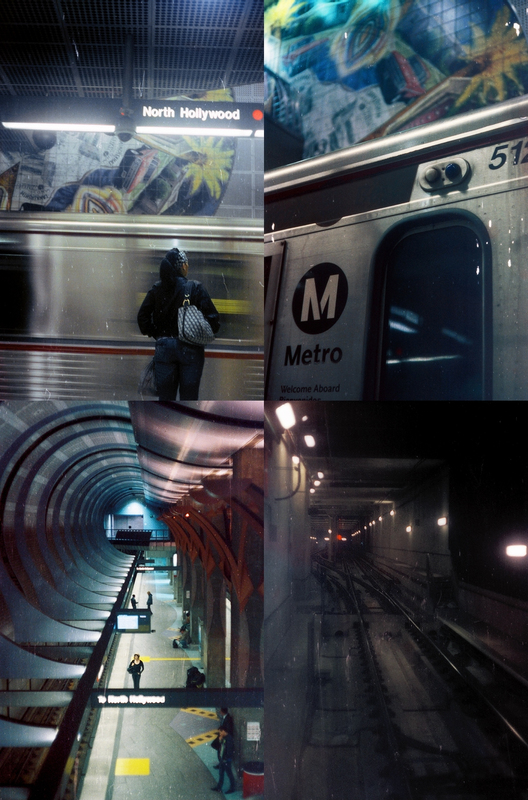 Kodak Vision3 500T Motion Picture Film, light metered in camera at ISO 3200 (no push processing)!!! It looks dirty 'cuz I didn't remove the Remjet very well. the photo on the both left is incredible. you honestly captured the flow of the building in the most exquisite way possible. ah, i love it! Zack! I know a few of them so I'm not sure which you are, but thanks you for the kind words. I wish more would ride the Metro. It is truly a beautiful thing. Both culturally and aesthetically!